The work of international crews on the program 'Intercosmos' at the orbital station 'Salyut-6'. The members of the first international crew of the Soyuz-28 spacecraft were cosmonauts Gubarev AA and Remek V. (Czechoslovakia) at the Salyut-6 orbital station. A member of the crew of the Soyuz-27 spacecraft, cosmonaut Dzhanibekov VA, at the Salyut-6 orbital station. The international crew of the Soyuz-30 spacecraft in the cosmonauts Klimuk P. I. and Hermaszewski M. visited the Salyut-6 orbital station. Work on the Salute-6 of the members of the Soyuz-40 space crew of cosmonauts LI Popova and Prunariu D. (Romania) and the crew members of the Soyuz-4 cosmonauts Kovalenka VV and Savinykh VP Members of the Soyuz-31 international crew cosmonauts Bykovsky VF and Ian Z. (GDR) aboard the Salyut-6 orbital station. Visiting the Salyut-6 orbital station by Vietnamese cosmonaut Pham Tuan. Communication session of the PMU with the crew of the Soyuz-26 spacecraft as part of cosmonauts Romanenko Yu. V. and Grechko GM Romanenko Yu. V. and Grechko GM check the equipment before going into space. Astronaut Grechko GM works in open space. Antennas and solar panels of the orbital station 'Salyut-6'. 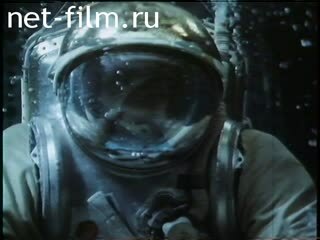 Astronauts Romanenko Yu. V. and Grechko GM in the CPC them. Gagarin Yu. A. talk about the completed flight to the Soyuz-26 spacecraft. Astronauts at a concert in the Culture Center of Star City.